Here goes another Fairy Loot unboxing! 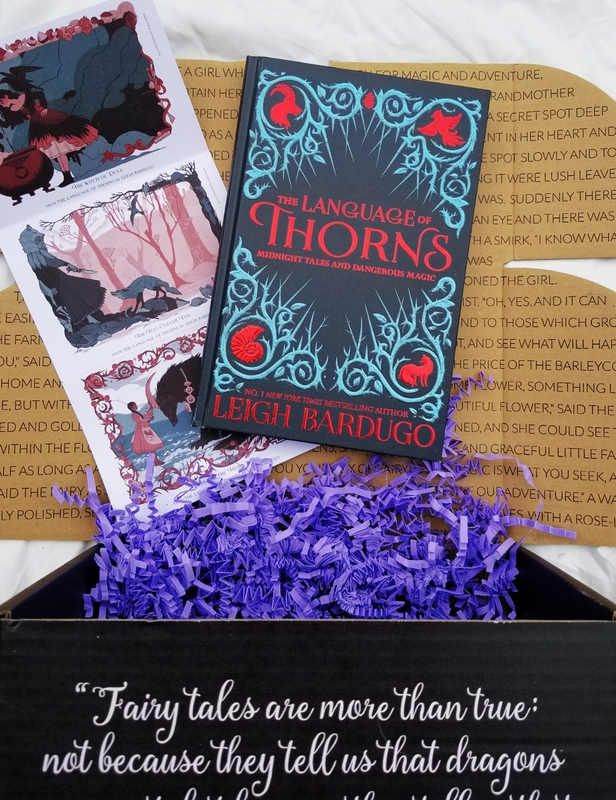 With this book we also received a set of the cutest post cards that were illustrated based off of The Language of Thorns. I love them but it’s like a catch-22 because I don’t want to use them! Next was this amazing smelling candle from Meraki candles. Fairy Loot has featured their products before and have never disappointed! 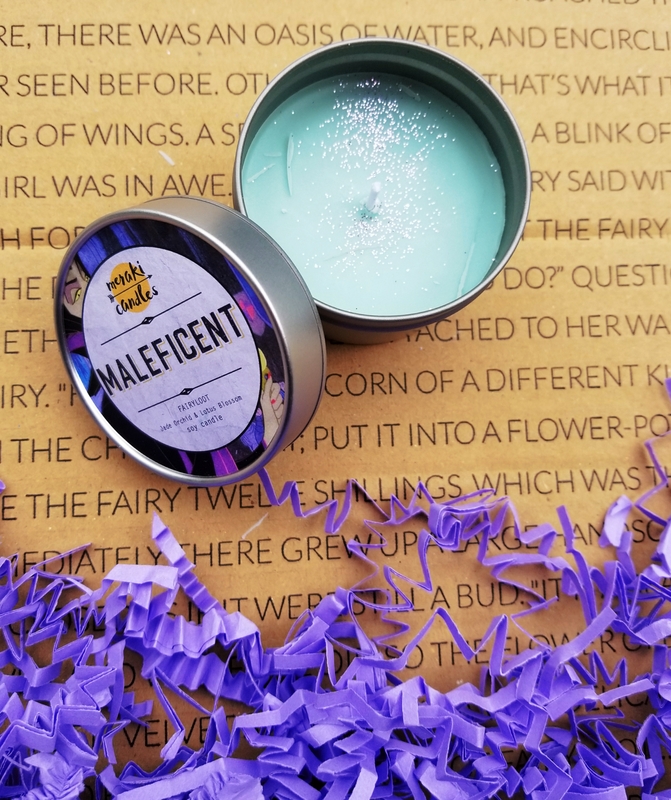 This months candle is called “Maleficent” and the smell description is jade orchid and lotus blossom. You can check out the rest of Meraki products here! We also received this beautiful mirror that features a quote from Marie Lu’s The Young Elites. Little Inklings Designs has such cute products and I am so glad that Fairy Loot has introduced me. Check out the rest of their products here. I honestly think this might be one of my favorite products that I have received in a subscription box, I definitely squealed when I saw it. 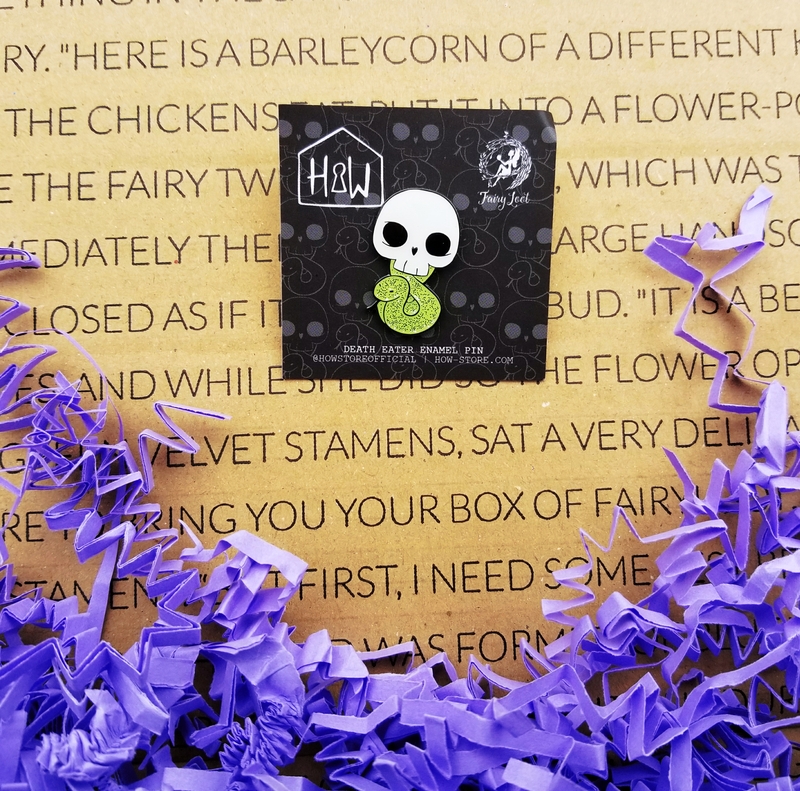 This is an enamel pin created by House of Wonderland that is the deathmark from Harry Potter. I’m so in love with this it’s not even funny. Check out the rest of their amazing pins and other products here. Evie Seo is one of my favorite Society 6 stores and I’m so excited to receive two items from her! We received a beautiful coaster with a Sherlock quote on it and an amazing print with a quote from The Aeneid by Virgil. Check out Evie’s store, you definitely won’t regret it! I hope you enjoyed this unboxing and I’m so looking forward to bringing you November’s unboxing next month. Until then, have a great month! 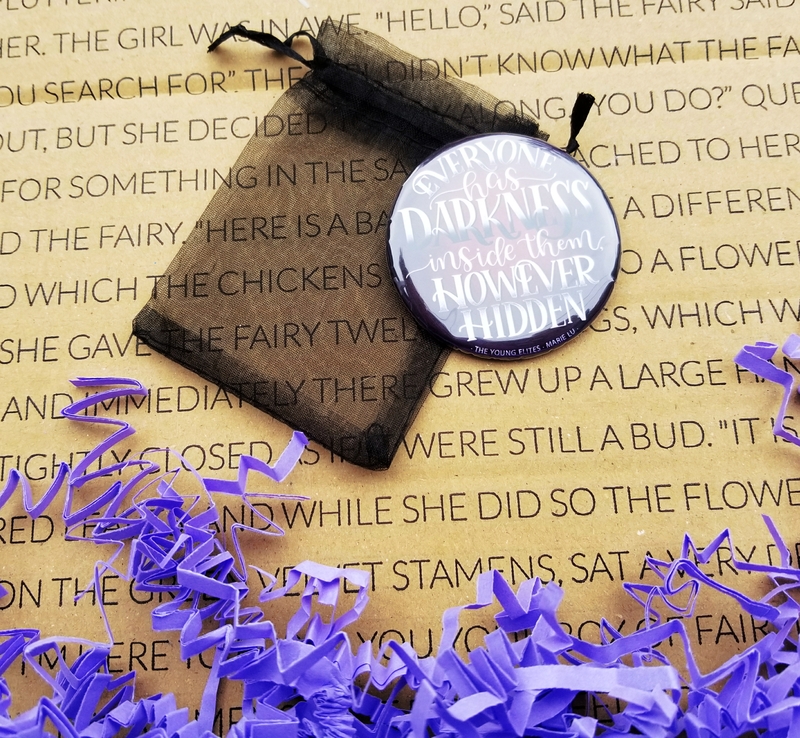 FairyLoot looks like an amazing subscription box that I hope to be able to give a try at some point. 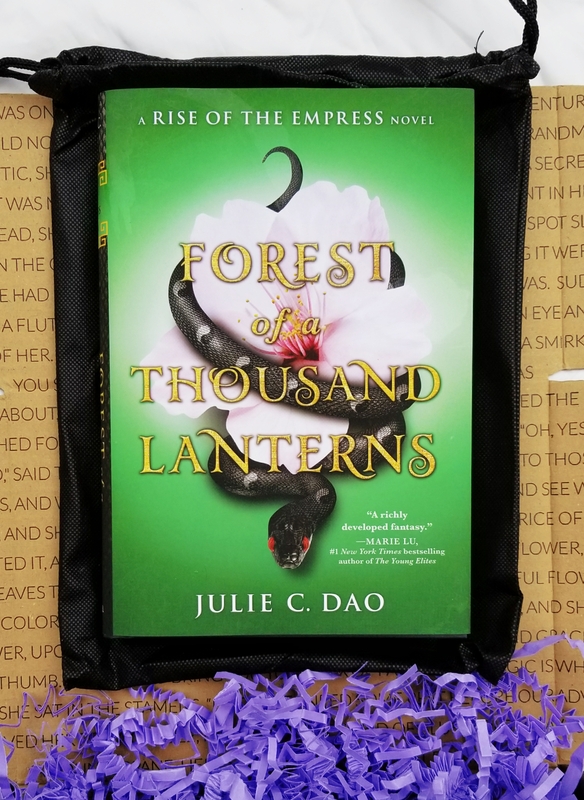 This one looks absolutely wonderful, I’ve been highly anticipating Forest of a Thousand Lanterns, it sounds like an amazing retelling of Evil Queen but in an Asian settings. I’ve been seeing The Language of Thorns everywhere. 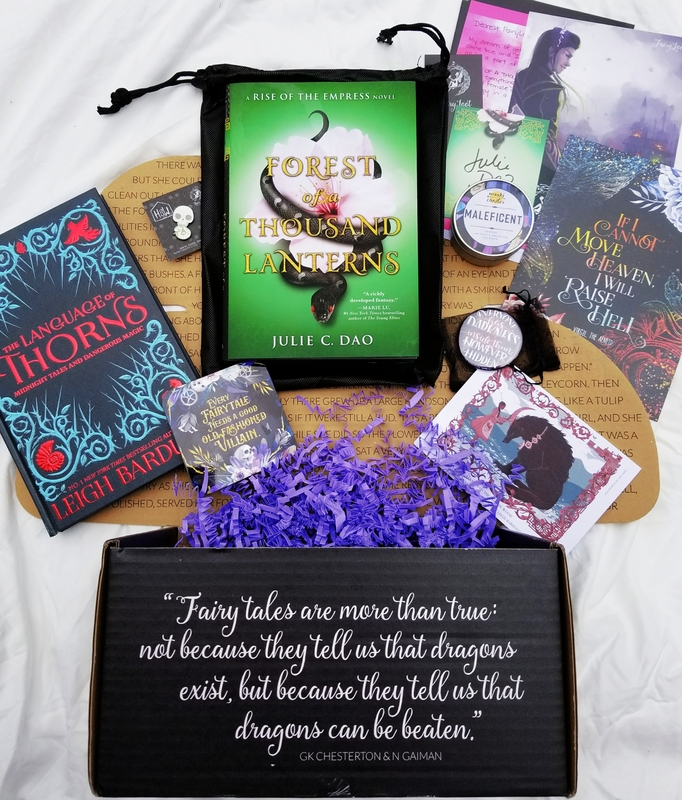 This is a gorgeous unboxing! 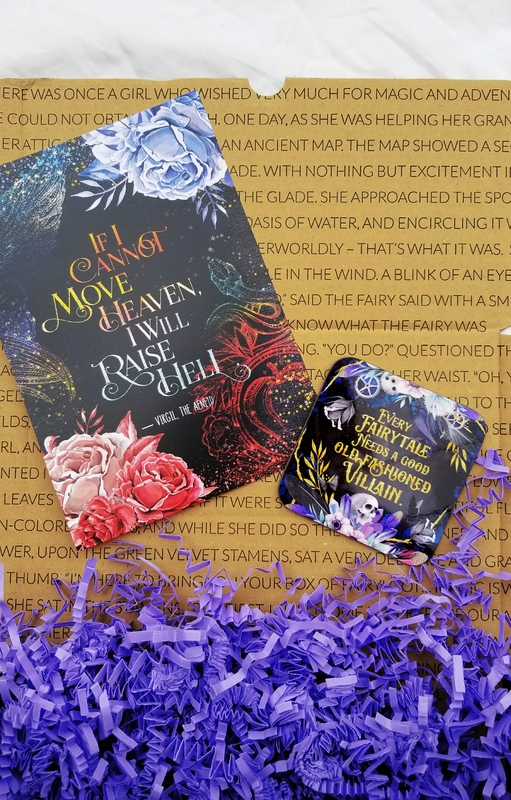 I’ve never tried fairyloot because the shipping is killer but I always wish I had one because their boxes look AMAZING!